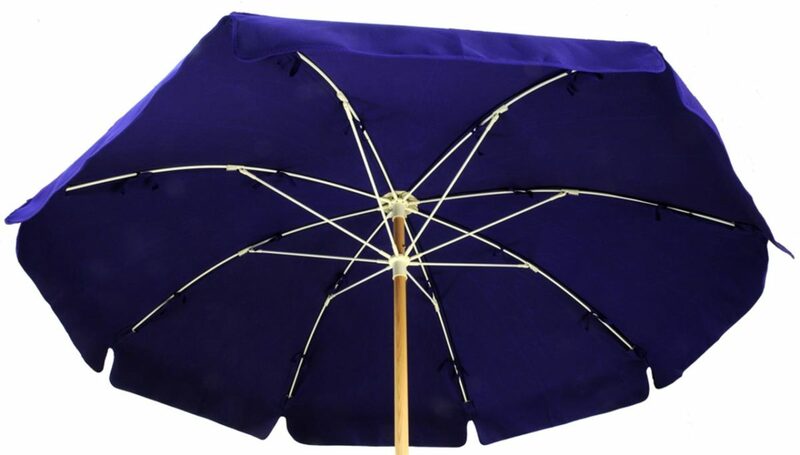 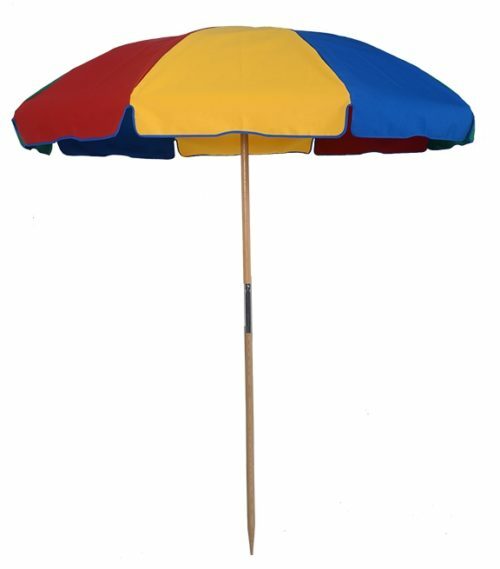 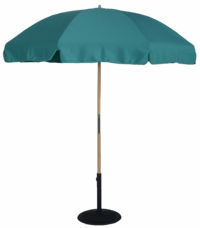 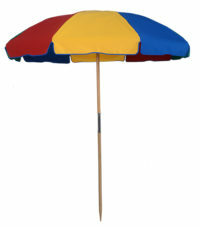 Keep yourself covered with this 7 ½ ft. Wood Beach Umbrella with Fiberglass Ribs. 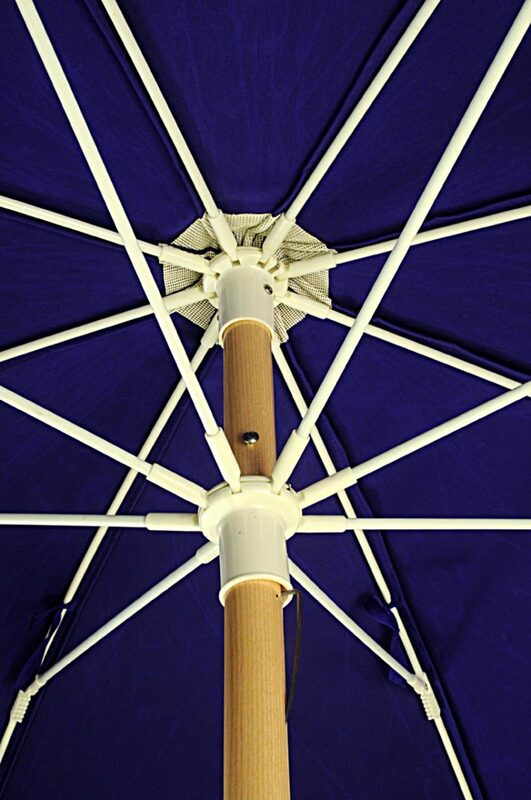 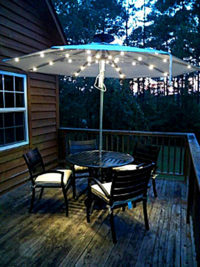 This umbrella features a This Wood Beach Umbrella item features 8 mm fiberglass ribs on an all hard ash wood center pole measuring 1 ½” in diameter. 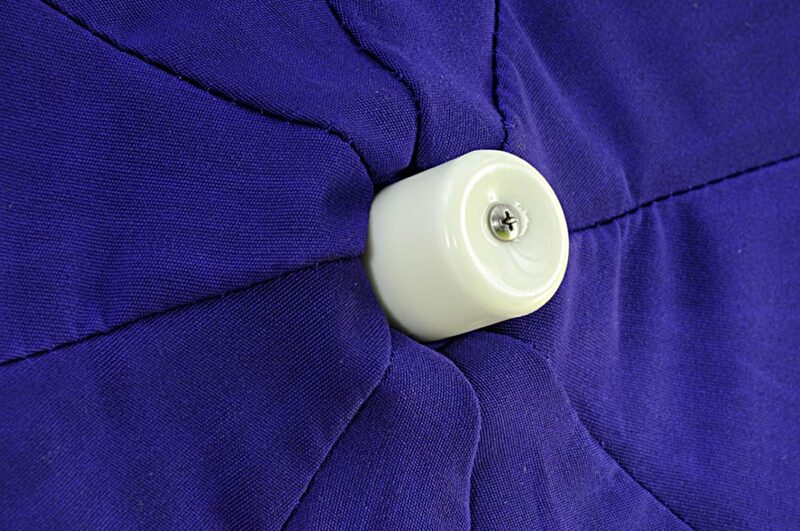 The pole will does not feature a button and has to be screwed together. 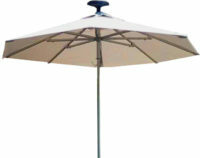 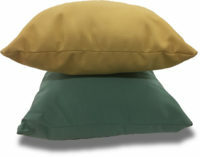 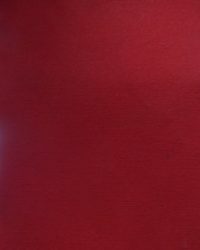 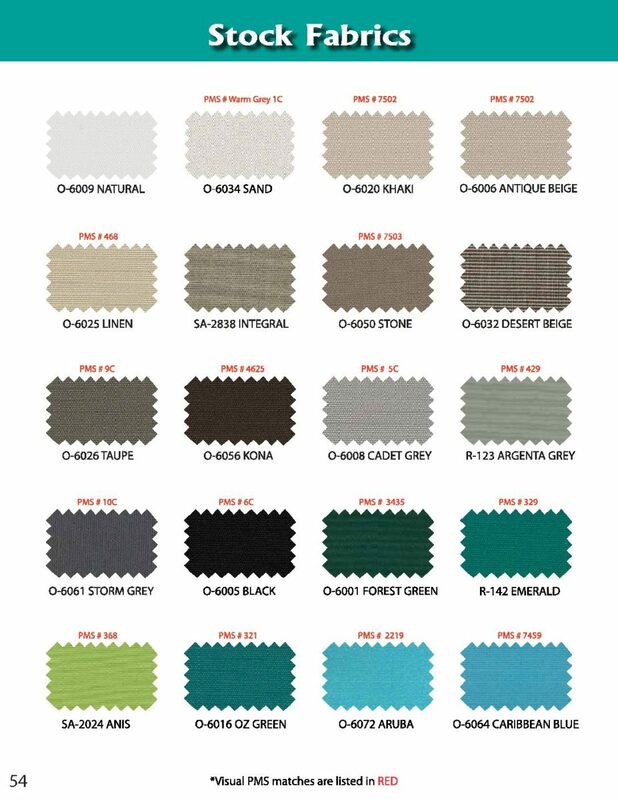 For commercial use only such as beach rental services, hotels, etc. 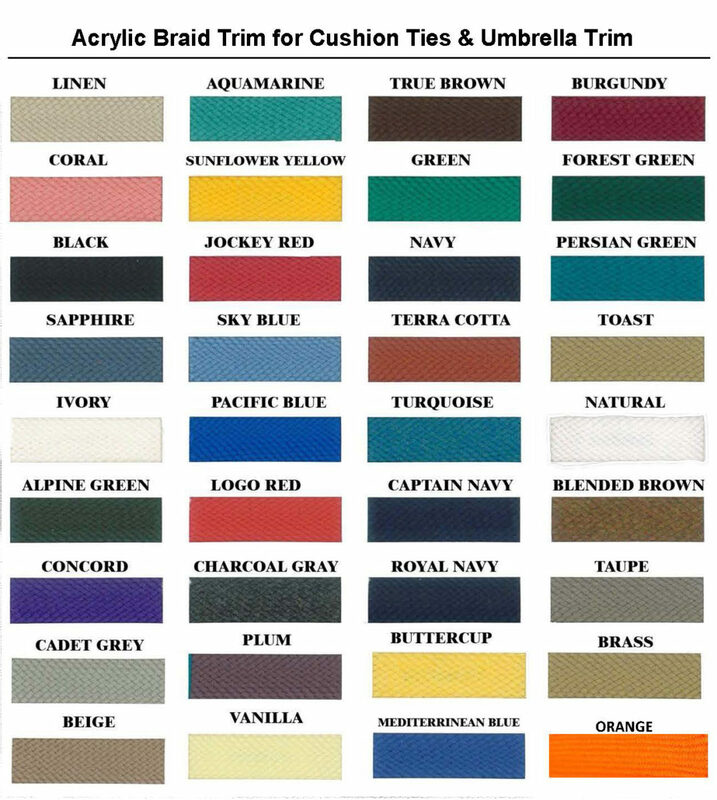 Height: 92?/ Head Clearance 68? 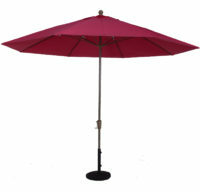 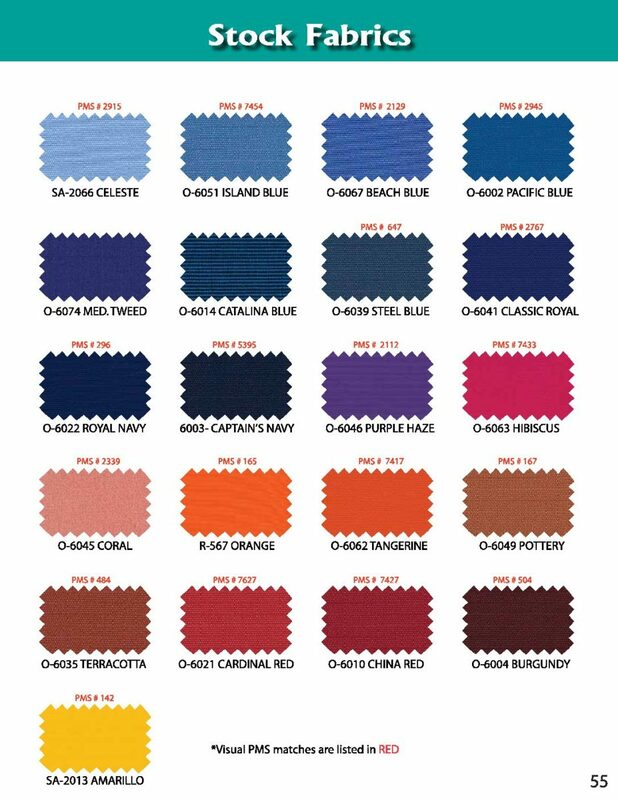 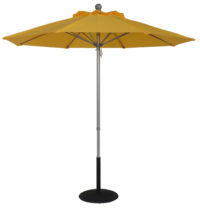 We recommend a minimum of a 50 lbs base for all of our Beach Umbrellas.